The past few months have seen the Queen's Diamond Jubilee celebrations, Euro 2012, preparation for the London Olympics and a gamut of freak weather; with blistering heat and flooding following in quick succession. To quote Oscar Hammerstein "June is bustin' out all over." Since Spring, the team here at Fistral have experienced the extremes of weather in Scotland, England, Northern Ireland, Republic of Ireland, Holland and Germany. We're delighted to have run some great pilot courses for the University of Exeter and University College Cork - we hope to work again with them soon! Both pilots were very well received as the comments and ratings shared in the Fistral blog show. *Please note the office will be closed 29th June to 20th July inclusive. Here's hoping Anton Chekhov's thoughts stay true for us all over the forthcoming months: "People don't notice whether it's winter or summer when they're happy." At the start of June we held a bespoke seminar and Q&A session on the topic of wind renewable energy with the Wind Energy Doctoral Training Centre at the University of Strathclyde. Fistral organised a specialist consultant visit to the centre to give personal experiences managing projects within this industry. This seminar followed-up on a series of Project Management training we had been delivering for the Institute for Energy & Environment team in preparation for professional project management certification (CAPM) and in support of individuals' attainment of Chartered Engineering status. Helen Thompson, an experienced Development Project Manager currently managing one of the largest offshore infrastructures in the UK, gave an overview of her role, current projects and the opportunities and challenges of managing offshore wind projects. In addition to giving general tips, experience and advice, she highlighted the ways in which the practical techniques and knowledge, processes and methods explored through the Fistral courses, are aligned, used and applied within the sector. 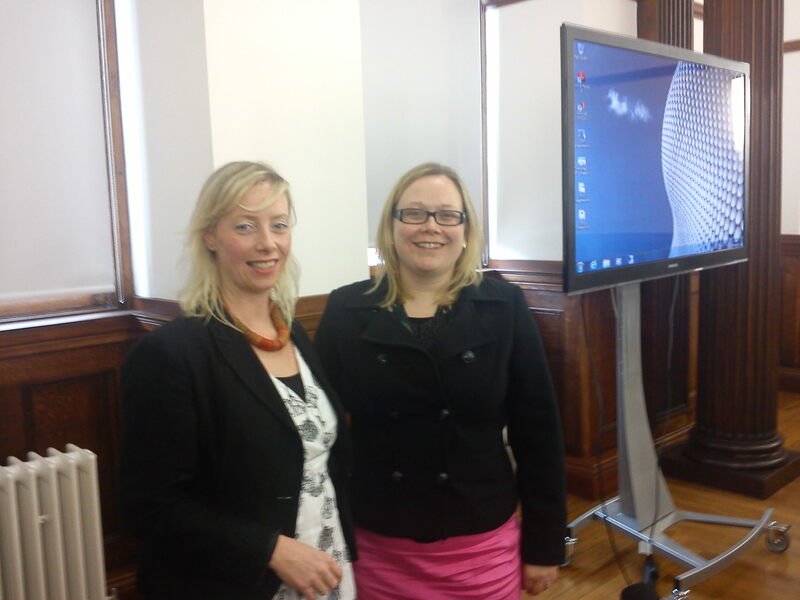 Given the number of questions during the Q&A it was a useful and thought provoking seminar. A great session, enjoyed by all! Fistral's close industry links mean this type of event can be facilitated for many different sectors. Contact Us to organise your seminar. The Fistral team will be participating in various challenges and charity events from October onwards to mark our 21st. Later in the year, we will be running 21 miles for charity (well, 3 x 10k and a jog around the park). And the intention is also to do a charity skydive - although Fraser is yet to be convinced. There will also be various competitions throughout the year for customers - with a free day's training to be won. Other events, competitions and promotions will be announced in due course through the newsletter, LinkedIn and Twitter. If anyone would like to suggest a charity or join us for any of the above, then please get in touch: the more, the merrier! As part of our 21st celebration, Pauline will be buying birthday drinks in the bar on the Monday night before the conference dinner - feel free just to turn up, if only to see a Scot open their wallet! Bearsden Academy, winners of the Scottish CanSat Competition, went on to beat 14 other countries countries - including England, Spain, France and The Netherlands - to win the European CanSat Competition 2012. Held in the Andøya Rocket Range in Norway, the preparation that the Scottish Competition had put the team through stood them in good stead. The Scots were calmly playing cards while other teams were rushing around to get ready to present. The key winning element for the team turned out to be the Project Management techniques that Fistral had trained them in: read the team's blog written during the European competition. The European Space Agency (ESA), in collaboration with the Norwegian Centre for Space-related Education (NAROM), awarded the trophy to Bearsden team. The four representatives from Team Alpha who won the European trophy. 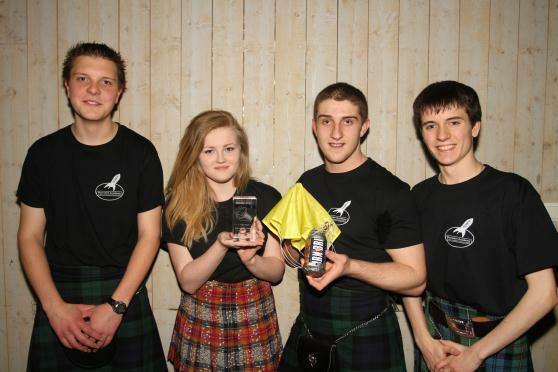 See Fistral's Scotland WINS the CanSat Race to Space blog for more details, photos, and links. Company No 345886. Registered Office: Kensington House, 227 Sauchiehall Street, Glasgow G2 3EX, UK. Copyright (C) 2012 Fistral Training and Consultancy Ltd. All rights reserved.